Kenya’s ‘moral cop’ has been dragged into the corridors of justice for banning the Kenyan feature film ‘Rafiki’. The film’s director, Wanuri Kahiu, with backing from her co-petitioners, ‘Creative Economy Working Group’, is suing the Kenya Film Classification Board (KFCB) and its boss Ezekiel Mutua for proscribing the ‘controversial’ film. The ‘moral cop’ was in inspired form as he sunk his teeth into banishing the film in Kenya on April 26 this year for allegedly promoting homosexuality/lesbianism. In doing so, Mutua and his backward thinking effectively denied ‘Rafiki’ a shot at the 2019 Oscars Awards as Kenya’s entry in the Best Foreign language film category (A movie must be shown in the country submitting it for it to be eligible for the Academy Award). Mr Mutua also denied the film a probable chance to make history again, by becoming the first Kenyan film to earn an Oscar nod, after it became the nation’s first film to be shown at the Cannes Film Festival in April. Entries for the Oscar award close by September 30 and time is running out. Kanuri and Creative Economy Working Group now want the High Court to temporarily lift the ban and allow for the film to be submitted. “If this matter is not certified urgent and heard on a priority basis, it would be rendered nugatory because Ms Kahiu’s film would be left out of the competition,” Wanuri’s lawyers Waikwa Wanyoike and Sofia Rajab-Leteipan were quoted saying. They also want a change in a KFCB law that has been used in recent years to ban several ‘controversial’ films from being showcased in the country like ‘Fifty Shades of Grey’, and ‘The Wolf of Wallstreet’. Through her advocates, Kanuri also argues that the films agency violated several provisions of the Constitution that protect her right to free speech and freedom of creative expression. According to Ms Kahiu and the lobby, they are bound to suffer losses from the ban though they had obtained the necessary licenses from KFCB. The complainants are therefore seeking Sh8.5 million in compensation for the loss in sponsorship and projected sales from the distribution of the film. 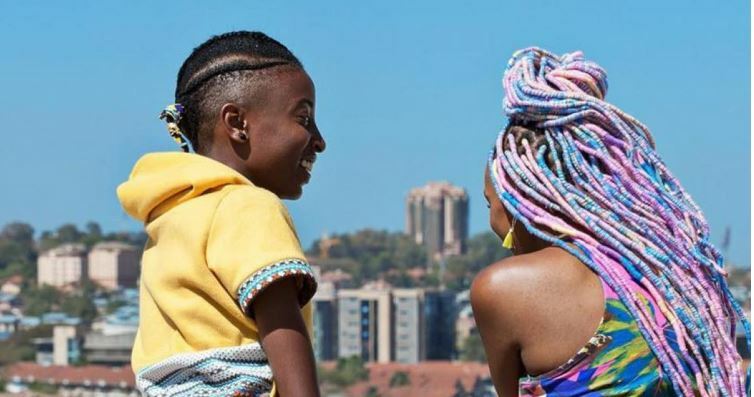 ‘Rafiki’ has since been screened in Ghana, South Africa, and most recently to a sold-out crowd at the Toronto International Film Festival in Canada.